emergency oil draining in case of damaged equipment. It should be noted that hydroelectric power plants have storage facilities to store lubricating (for turbine equipment and generators), transformer (for transformers, high-voltage capacitors and oil switches) and compressor oils. Turbine oils are used in the turbine control system, the elements of which are oil-pressure units, gate servomotors, servomotor in the impeller (on runner vane turbines), oil bath for bearings in some types of turbines, and axial bearings. 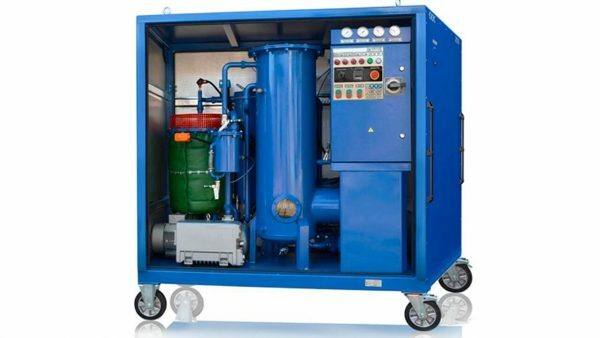 Operating conditions of turbine oils are severe with high temperatures, the influence of air, water and metal impurities. The combined effect of these factors leads to oil aging: an increase of viscosity and acid number, a decrease in the flash point, the appearance of an acid reaction of aqueous solution, sludge and mechanical impurities. At hydroelectric power plants specially trained personnel following maintenance schedules monitor the physical and chemical properties of turbine oil. They conducts sampling and analysis of turbine oil in chemical laboratories. If oil parameters decrease, the unit is stopped and the oil is replaced or regeneration. Replacing of oil requires large financial costs for the purchase of new and utilization of used oil. After all, spent turbine oil is a dangerous substance, and can lead to serious pollution when it gets into soil or water. At the same time the potential life of deteriorated oil, even with reduced performance in most cases, is not completely exhausted. In this regard, turbine oil regeneration is seen as a preferable way of reducing financial costs, improving the reliability of hydroelectric power stations and an uninterrupted power supply to consumers. 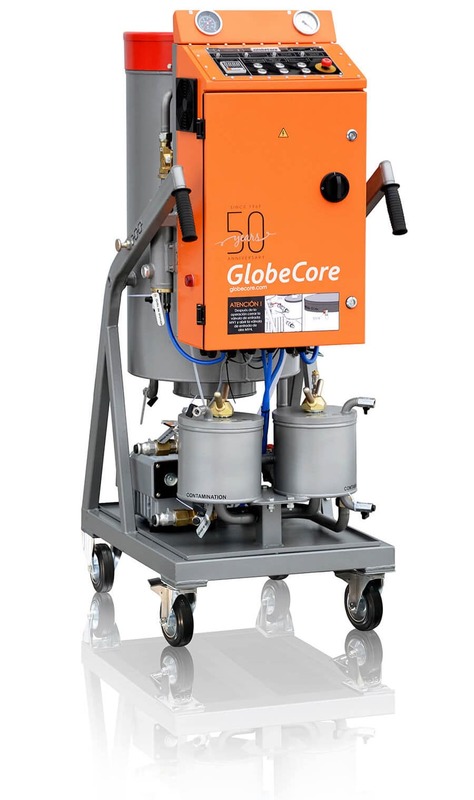 GlobeCore is one of the leading manufacturers of equipment for turbine oil regeneration, transformer, industrial, transmission and other types of oils. 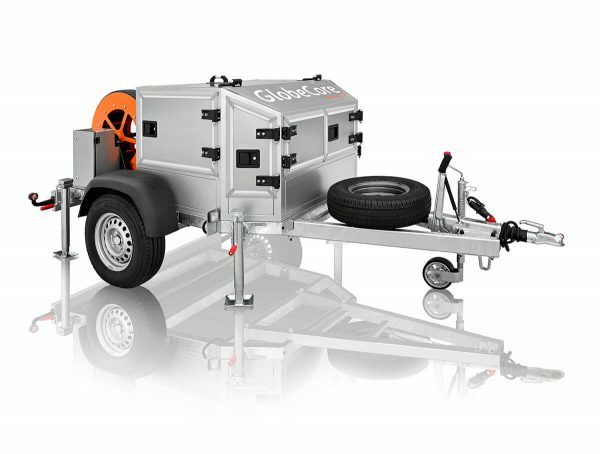 Turbine oil regeneration plants from GlobeCore are mobile, economic and environmentally friendly. A wide range of models allows any hydroelectric power station to choose the optimal equipment that will fit into the existing oil facilities. 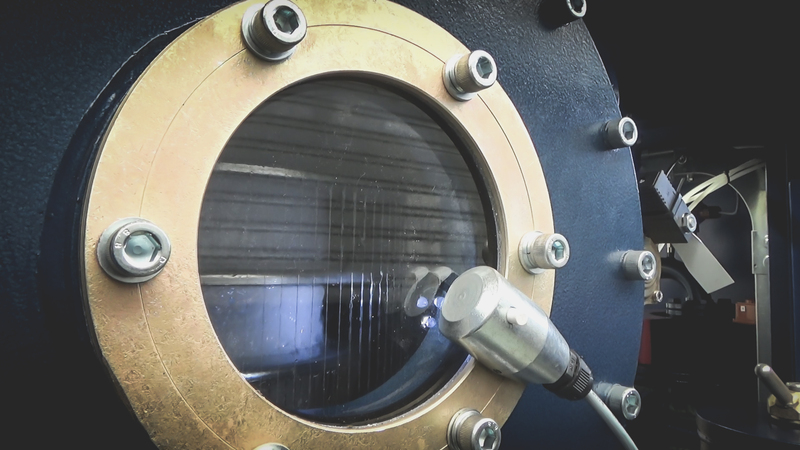 The regeneration of turbine oils using GlobeCore technology improves oil performance for its reuse directly. The main thing is to take samples in time and regularly monitor the current state of turbine oil. Timely regeneration on-site also allows to eliminate storage in tanks, and also save on fuel for delivering vehicles that transport used oil to recycling facilities. GlobeCore provides a quality regeneration of turbine oils directly on hydroelectric power plants. If you are looking for a profitable solutions that offer real financial savings, GlobeCore technologies are what you need!